More and more studies are teaching us how too much sugar in our diet can lead to serious health issues, including conditions like obesity. This has triggered all sorts of policy debates with the Mayor of New York banning large soft drinks while others argue that the government shouldn’t get involved. Both sides have a point but with so much of our federal budget tied to health care costs we all need to consider these issues, while also looking in the mirror and asking ourselves whether we consume too much sugar. Soft drinks in particular are a huge source of excess sugar in our diets, and now even stars like Beyonce are feeling some heat around this issue. For example, “The Center for Science in the Public Interest wants Beyonce to turn her back on her $50 million deal with Pepsi because the sugary drink is associated with obesity, diabetes, and heart disease.” That’s quite a bit a money to turn down, and I guess she could only focus on Diet Pepsi, but in many ways this controversy illustrates how far we have come with awareness on this issue. I doubt Beyonce will end her deal, but now there is some PR price to be paid when a celebrity gets behind these types of products. Of course, we need to do more than just cut down on sugar to improve our diet and our health, though it would be a great start for most people. It’s important to find healthy foods as a substitute for things like sugar and fat that we want to reduce. Another approach involves taking vitamins and supplements like the ones found at Predator Nutrition to round out what you consume as well. It is encouraging, however, that the feedback we’re getting from commercials might be balanced a bit by the loud voices explaining the health risks of things like sugar along with the health benefits of fruits and vegetables. It’s not easy to eat right all the time and even if you are you may not know that consuming fruit, for instance, with protein will inhibit your bodies ability to absorb the nutrients you are ingesting. Taking certain supplements will help to insure that you are getting the nutrients you need everyday. Bioavailability and absorption are two important factors when it comes to sufficient intake of micronutrients. For example, oxalates are a chemical found in tea. While herbal teas are good for you, this chemical can limit the bioavailability of several nutrients, like iron and calcium. Tea has become as much a staple in many diets as coffee or water – meaning your body may not be benefiting from your “perfect” diet. Another common example is consuming milk with a meal containing eggs – it is highly unlikely you will absorb much of the calcium in the milk. Iron, found in eggs, binds calcium in the intestines, limiting absorption. Ideally, these two micronutrients should be consumed three hours apart, but do you really have time for that much planning and fretting? Supplements, however, do not replace healthy eating and lifestyle choices. Choose those supplements which are designed to address our specific needs and you can achieve optimal health and benefits for your body and mind. Struggling with Weakness or Fatigue? Don’t let these feelings get in the way of your fitness goals. Instead, get your iron levels checked. Low-iron or iron deficiency anemia can lead to a host of symptoms including: tiredness, low-motivation and poor circulation. We’ve had many discussions on this site about the benefits of vitamin D, and the topic has been getting much more press over the past several years. The benefits are significant, as the reduced risk of fracture is just one benefit of vitamin D. Vitamin D also helps maintain normal blood levels of calcium and phosphorus, which is its main biological function. It also helps in the absorption of calcium and protects against osteoporosis and osteomalacia (hardens bones and teeth), against hypertension (high blood pressure), against cancer and against several autoimmune diseases and rickets in children. New research in the New England Journal of Medicine is out on the reduced risk of fracture in the elderly, concluding that it takes a daily dose of at least 800 international units (IU) to consistently prevent broken bones. Doses at this level were found to reduce the risk of hip fracture by 30 percent and other breaks by 14 percent while lower doses didn’t have any effect. Meanwhile the studies also suggest that too much calcium in the range of more than 1,000 mg per day can weaken the benefit. As supplements like vitamin get more popular with more research results, more and more people are shopping for them online as the costs can add up. You can save a ton of money by doing your research and shopping around online on sites like Puritan’s Pride as opposed to walking into the first drugstore you find. There are many great online stores with significant discounts, and you can save money by using these Puritan’s Pride coupon codes. Naturally, you should be consulting with your doctor as well, though keep in mind that many doctors will not address issues like supplements unless you bring up specific questions. One new study, however, makes all of this more difficult when it comes to vitamin D. Unfortunately, current testing methods for vitamin D levels are not very accurate. The main problems is that there is no official standardization for vitamin D testing, and “a single blood sample sent to 10 different labs could return 10 different test results.” Fortunately there is an effort to correct this problem but for the moment you need to keep this in mind when you get tested by your doctor. USA Today has a great profile of Ray Lewis leading up to this weekend’s playoff game. Lewis has had an incredible NFL career, and in this article we see why. He’s always been known as a workout warrior, but here we see how obsessive he is about his diet as well. Stamped “P.M.,” the bag is filled with multicolored vitamin supplements. Before noon, the iconic Baltimore Ravens linebacker already had consumed a protein shake, egg whites, an apple, 2 gallons of water and a similar bag of “A.M.” supplements. Lewis, 36, is explaining why he believes he has survived 16 NFL seasons — and still is playing at a Pro Bowl level as the Ravens prepare for Sunday’s AFC divisional playoff game against the Houston Texans— in such a physically demanding sport. In addition to a relentless year-round conditioning regimen and aggressive therapy for the toe injury that sidelined him for four games this season, Lewis estimates he swallows 50 pills a day. Then the veteran, hardly ready to declare this playoff run a prelude to retirement, reaches into the briefcase to show off his afternoon snack — another apple. His obsession for healthy eating is, well, notorious in the Ravens locker room. Lewis is a fish-and-vegetable man who hasn’t touched pork in 12 years and has eaten beef twice during that span. He also doesn’t drink soda or eat bread or sugar — except for scant exceptions. Like his cheat snacks, Twizzlers and Gummy Bears. “To keep living life,” he says. I remember watching Chad Ochocinco several years ago describing how he ate mostly at McDonald’s. He was young and he could easily burn the fat and calories. Now he’d be wise to read this article and start emulating Lewis, as Chad isn’t the same player he was several years ago. Diet is a critical part of health and performance! As we get older, we have to be more careful about what we eat. We don’t need to be obsessive like Ray Lewis since most of us aren’t pro athletes. But if you really was to get ripped, then you have to have the same devotion. Match your diet to your goals! Our government, which is getting bigger and bigger, is continually trying to take away the rights of us citizens. Being consistent, the government has taken hold of several industries over the last few years to no benefit, and is now set its sights on the supplement industry. The FDA, a sheep in wolves clothing, is claiming they’re interest in taking over the supplement industry is public safety. However, government statistics show that supplements are basically benign, especially when compared to prescription drugs. Not to mention the outstanding natural health benefits associated with supplement intake. If the government gets their way, they and the pharmaceutical industry know the supplement industry companies won’t be able to afford the FDA’s drug trial process. Most supplement companies will go out of business if supplements, which includes vitamins, are treated as drugs under the new regulations; drug companies like Merk, Pfizer and others will step in and take over. Drug companies are not in the business of building health. It is in their best interest to have as many unhealthy people as possible. Its so important that big pharma spends more money on ads than it does on research (twice as much). It’s a marketing driven industry, trying to convince people they have an affliction and the drug companies have the answer. Is it any wonder why there have been so many drug recalls associated with so many deaths. Perhaps if big pharma spent more on research, and the FDA did their job, many people wouldn’t have lost their lives needlessly. And this is who we’re supposed to put our trust in running our supplement industry? 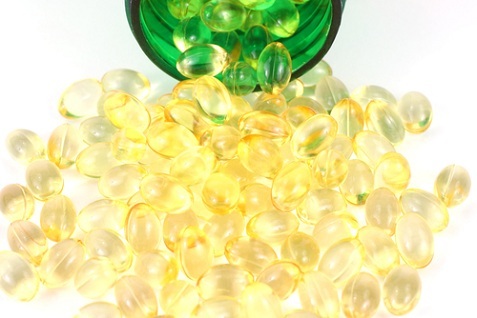 Dietary Supplement Labeling Act of 2011, introduced at the end of June by U.S. Senator Richard Durbin (D-Illinois) is trying to treat vitamins as if they are drugs, allegedly to “improve the safety of dietary supplements,” which implies that supplements must be a major safety hazard to begin with. Durbin’s bill goes hand-in-hand with new FDA regulations that amend the definitions for new dietary ingredients (NDI’s), and together, they can threaten your health and freedom of choice, and further serve to strengthen the fatally flawed paradigm of health and medicine. In 2001, 84.6 percent of all substances implicated in fatal poisonings were pharmaceutical drugs, according to that year’s American Association of Poison Control Centers (AAPCC) report. This compares with 0.8 percent for all dietary supplements combined, even including substances such as dinitrophenol, a dangerous (and illegal) substance banned in 1938, as well as the central nervous system stimulant Ma Huang (Ephedra). ONE drug alone, the anti-asthma drug theophylline, which was responsible for 15 deaths that year, amounted to 66 percent more than all the available dietary supplements combined. “When a clinical trial that is undertaken by drug companies shows that a drug has serious side effects, there is no law that says that study has to be published or made public in any way,” Dr. Dean says in her book. What’s obvious is that the number of people taking supplements and vitamins is continuously growing. It’s a $60-billion-a-year industry, and the drug industry wants a piece of that pie, as evidenced by drug giant Pfizer, which recently announced that it’s going into the supplement business to counter some of the losses from its blockbusters that are soon going off-patent. The FDA is apparently on-track to protect its client’s vitamin and supplement interests by proposing the new policy it slipped in just before July 4. What can you do? Go HERE and get involved.